Makes a beautiful presentation for a holiday or special occasion dinner. This is our version of the famous Chicago Pizza Pot Pie! Chef Linkie Marais shows us how to make this rich and delicious treat! See how to make the perfect pizza on the EGG with our Pizza Publication. 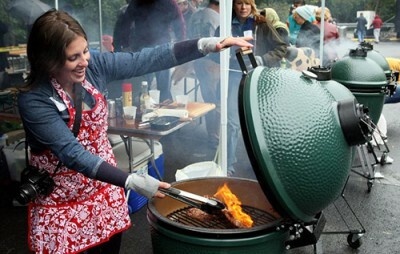 Check out the recap video from EGGtoberfest 2014.